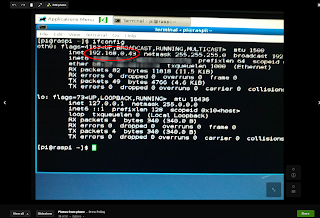 In my last post Raspberry Pi with Fedora 17 we setup the Raspberry Pi with the Fedora 17 Remix. Now we want to use the RPi.GPIO module to access inputs wired to the pins on the RPi. The General Purpose Input/Output (GPIO) is a generic pin on a chip whose behavior (including whether it is an input or output pin) can be controlled (programmed) by the user at run time and accessed via the RPi GPIO P1 header. This header is connected directly to the Broadcom BCM2835 chip that is under the Samsung memory chip PoP (Package on Package) on the right. You can tell if you have 256Mb or 512Mb of memory by looking at the number just under the word Samsung on that chip. If it has "4G" it is 512 and if it has "2G" it is 256. 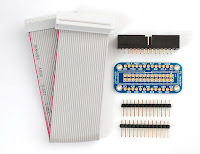 You can connect to the GPIO pins with the Pi Cobbler Breakout Kit from Adafruit.com for $7.95. 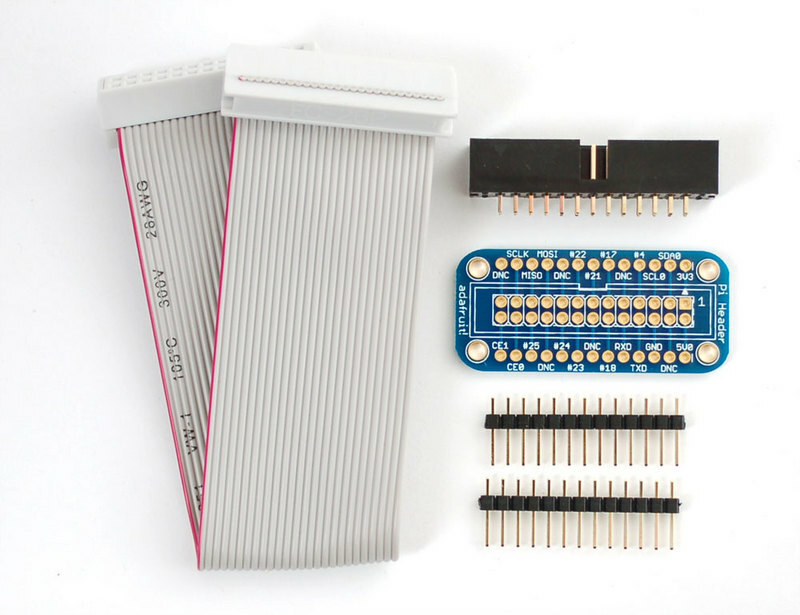 You will need a breadboard and and experimenters kit with LED's, resistors and breadboard jumpers to get started. If you don't have the RPi yet you could get the Raspberry Pi Starter Pack from Adafruit for $105 that has everything you will need to start experimenting. Now that we have all that we need we can setup the circuit to run the input test on the breadboard. 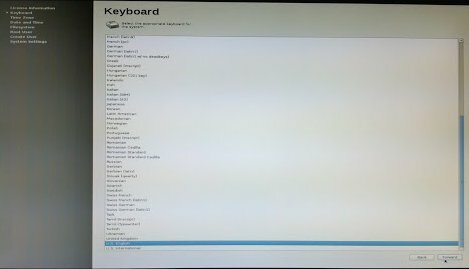 How do I change the default runlevel to 3 to boot to the console in Fedora 17? This would be a good time to take a break and consume some of your favorite beverage. After that is complete you will need to install Python 3 (Python 2.7 is installed) to get the latest RPi.GPIO to install. and copy the link address from the green download button. Now drop back to the pi user with [CTRL]+[D] and cd into pi. This will write the file to disk and quit. So when you press the button you should see the LED flash and "Button Pushed" printed to the console. 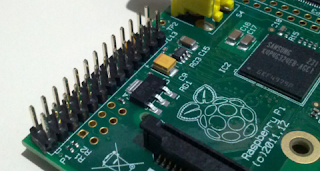 The program imports the needed modules and sets the GPIO pin 11 to an input. Then the GPIO.input reads pin 11 as a True or False state. 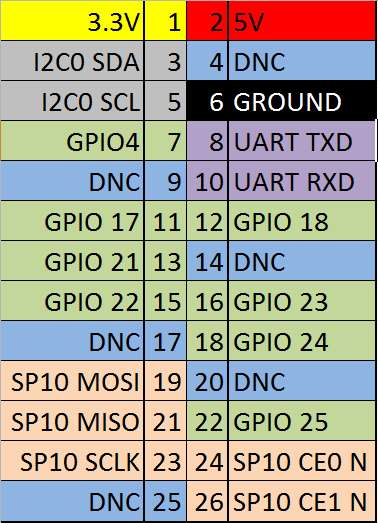 Use GPIO.setmode(GPIO.BOARD) to use Raspberry Pi board pin numbers (The ribbon connector pins) and use GPIO.setmode(GPIO.BCM) to change to BCM GPIO numbering (GPIO numbers on the CPU pins). 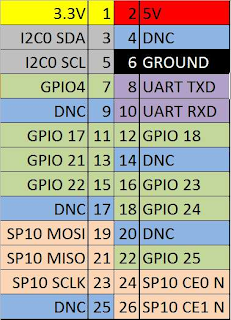 For most tutorials we will use the GPIO.BOARD numbering. The next step is to use the GPIO as an output. 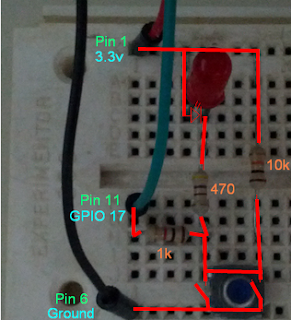 Set up the circuit below by moving the 470 Ohm resistor 90 degrees and adding the GPIO 18 as input pin 12. This time we imported the sys module to have a little more control with output to the console. 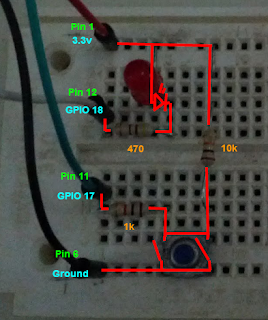 The GPIO 18/Pin 12 is set to be an output line and when the input Pin 11 is pulled to a low state we set the output line Pin 12 low to pull down that side of the LED so that we have a voltage drop across it and it lights up. The sys.stdout lines print a spinner to the console while waiting for a button press, then prints "on" when the button press sets the LED to on. The GPIO.setwarning(False) disables the warning that is displayed because we didn't run GPIO.cleanup() on exit. Instead we just press [CTRL]+C to exit the running program (and not getting a chance to cleanup IO first). If you want more detail on "Interfacing Projects for Beginners" then check out the "In Control" columns Part 1 and 2 that I used as a reference from the Raspberry Pi magazine TheMagPi.com issues 2 and 3. Next time I will try the temperature project with the I2C sensor tmp102 from issue 5. 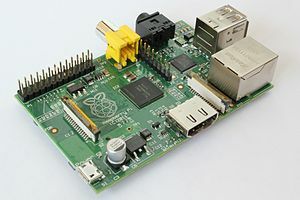 The Raspberry Pi has a Broadcom BCM2835 system on a chip (SoC), which includes an ARM1176JZF-S 700 MHzprocessor (The firmware includes a number of "Turbo" modes so that the user can attempt overclocking, up-to 1 GHz, without affecting the warranty), VideoCore IV GPU, and 256 megabytes of RAM. It does not include a built-in hard disk or solid-state drive, but uses an SD card for booting and long-term storage. The Foundation's goal is to offer two versions, priced at US$ 25 and US$ 35 ("B"). The Foundation started accepting orders for the higher priced model "B" on 29 February 2012. The Foundation provides Debian and Arch Linux ARM distributions for download. 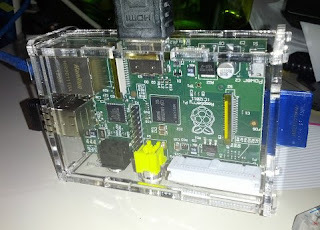 I have just received my Raspberry Pi and I also see that a Fedora 17 remix for the Pi is in the works so since I prefer Fedora I will go over the install in this post. Download the image to your computer and extract the .img file. I will demonstrate how to put the image onto an SDHC card from a Windows 7 system as this would be the most likely system someone new to Linux would use. 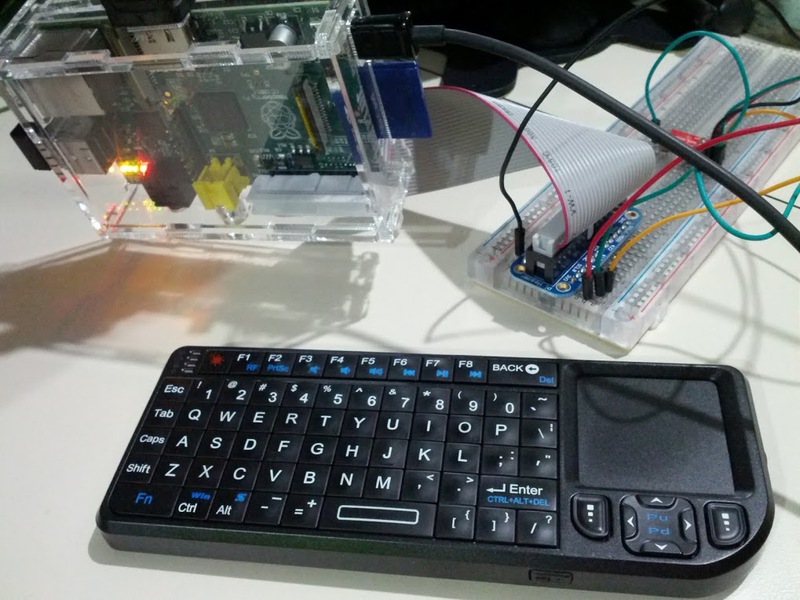 We will get into Linux more when we start using the RasPi board. Insert the SD card into the PC, I am using a SanDisk SDHC 4, 4GB card. You can get one for about $9 just about anywhere. 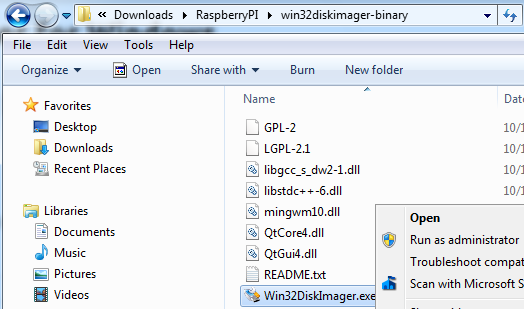 Download the Win32DiskImager-binary.zip from the link at RaspberryPi.org site and extract the exe and files to a directory. 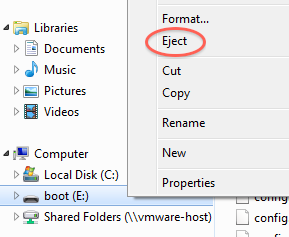 Open the extracted directory and right-click on Win32DiskImager.exe to "Run as Administrator"
You should see the SD card detected as [E:], if not select the correct location. Then click SAVE. 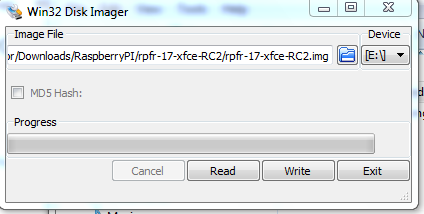 Now with the image ready to go, press WRITE and then confirm the OVERWRITE. 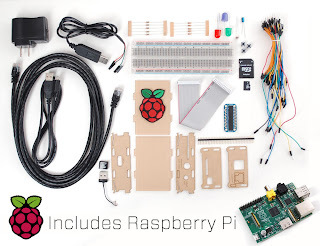 Now would be a good time to get the RasPi board setup to go. After the write process is complete, click OK then EXIT the Imager and safely remove the SD card being sure to eject the card first. 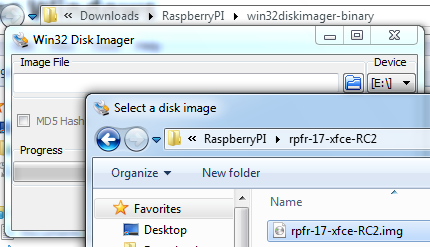 Pull the SD card from the PC and insert it into the RasPi. Then with the keyboard/mouse plugged into the USB port, the HDMI from the monitor plugged into the HDMI port and the network plugged into the Ethernet port you can finally plug the mini-USB from the power supply into the mini-USB port to start the boot process. (The network should have DHCP enabled for this demo). You should see the boot logo (maybe a few times). The first screen will be the License Information, click FORWARD. Select the US Keyboard and click FORWARD. 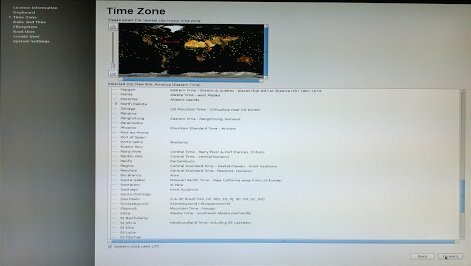 Select your Time Zone and click FORWARD. 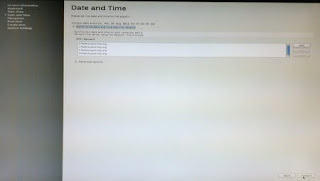 Select Network Time and click FORWARD. On the next screen you can choose how much disk space to use for the OS on the SD. You will want to use it all, so drag the slider all the way to the end and click FORWARD. On the next screen you will enter the Root users password (Don't forget this) and click FORWARD. 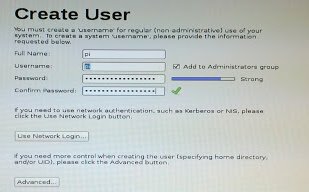 On the next screen you will create a user account for yourself, for the RasPi this user will need to be Pi for things to work when using imported packages in your code, so enter Pi and a password, then click FORWARD. On the last screen you can go with the default System Settings and click FORWARD. After a few reboots to re-size the disk partition, you can logon as Pi. After logon, open the terminal and run the command ifconfig to get the IP address. 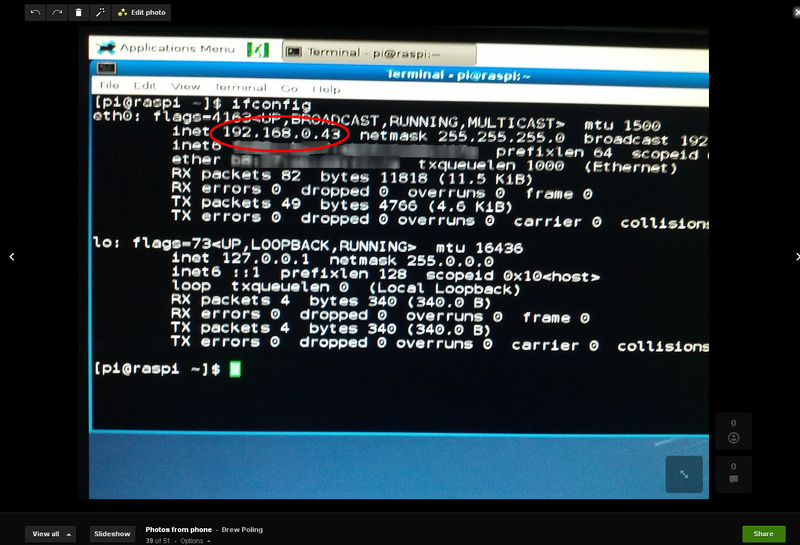 Now with this IP you can remote SSH into the Raspi with a terminal program like Putty. In the next post I will see what we can do with the RasPi in the real world by using the GPIO inputs and outputs. The localStorage attribute is an object provided by the www.w3.org specification under Candidate Recommendation review. This specification defines an API for persistant data storage of key-value pair data in Web clients. Web Storage offers two different storage areas, local storage and session storage which differ in scope and lifetime. Data placed in local storage is per domain for each client and persists after the browser is closed. This data is stored using Local Storage. Which means that even if you close the page, and re-open it, the data you saved should be loaded again. For more info you can take a look at Shwetank Dixit's post on Web Storage. Next time I will take a look at HTML5 Filesystem. Google launches a TED like event "Solve for X"
The OSP is a project that provides curriculum resources that engage students in physics, computation, and computer modeling and is supported in part by the National Science Foundation. You can pick from many compiled Java based simulations for Astronomy, Mathematical Tools, Classical Mechanics, Electricity & Magnetism, General Physics and many more. The OSP project has a wide variety of packages, libraries, programs, and files that have been put into Java archive (jar) packages with curricular materials for the study of computational physics. You can also find help in using the Easy Java Simulations (EJS) tool to create or modify physics simulations without the need for learning java programming. The OSP provides programming resources for computational physics and simulations. You can find more at the Open Source Physics.org project page. For more information on the Easy Java Simulations tool, check the EjsWiki. This is the first post in the Open Tech Blog that will be part of the Poling.org domain at some point. I will start to post to this blog when I get the domain set up to point poling.org to blog.poling.org (opentechblog.blogspot.com). Poling.org - CREATIVE COMMONS LICENSE Poling.org/+ . Awesome Inc. theme. Powered by Blogger.